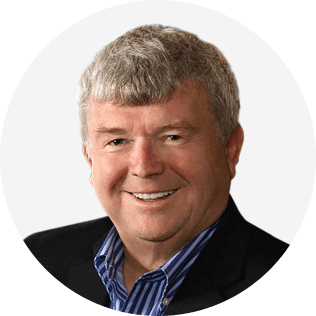 As an executive coach, Howard Morgan has led major organizational change initiatives in partnership with top leaders and executives at numerous international organizations. He was named as one of the world’s top 50 coaches, recognized as one of five coaches with “a proven track record of success” and has published several books. His clients include global businesses in the Financial Services, Manufacturing, Management Consulting, Communication, Media and High Tech industries. Howard’s profound understanding of the demands of executive leadership come from 17 years of experience as a line executive and executive vice president in industry and government. He has operated major businesses with full profit and loss responsibility; managed the people side of mergers and acquisitions; led international expansions and start-ups; and gained the respect of unions and corporations when negotiating agreements in volatile labor environments. He knows what it means to structure an organization, lead people and manage a business to achieve quarterly objectives. This practical background, along with an understanding of the politics of leadership and the competitive pressures of today’s global marketplace, is embodied in the roll-up-your-sleeves coaching work he does with executives. The dramatic impact of Howard’s approach is drawn from his ability to communicate the significance of people and performance issues in the context of business objectives. He has been a pioneer in the practical understanding of how motivation, productivity and behavior are linked to organizational values, leadership approach and employee satisfaction. He has done significant work on measuring the impact of leaders on long-term profitability and growth. He has helped leaders understand that the nuances of people management are a major influence on corporate success, and how they can increase their effectiveness in that area in practical ways. There is a great deal written about decision making. The purpose of this session is to not to focus on decision-making techniques, but rather, focusing on how a coach can help themselves and their coachees determine the best decision to make. It is about how to determine the best decision to focus on that will provide the highest impact for both the coach and the coachee. It will enable the coach to help the coachee to disaggregate complex problems and make their crisis more solvable and make the changes necessary more attainable. 3. How to get coachees from being paralyzed by their decisions and turn them into actions with minimal stress. All of us, as coaches, aspire to work with all levels of an organization. CEOs, COOs and Executive Team members have a different set of needs that they want coaches to assist them with. Successful people provide some of the greatest challenges to coaches and the purpose of this session is to see coaching through the eyes of an executive. Based on research that has been done on executives from the world’s top 500 organizations, data will be presented on how they view coaching and the opportunities they see. As well, the session will be presented by an Executive Team member of a large international organization and an established coach who focuses on coaching some of the world’s most celebrated executives. The session will include the skills that are required at this level, the interaction method, and the five things that are critical to a successful engagement. The session will include a dialogue between the executive and the coach outlining their great successes in coaching and their biggest disappointments.